Last weekend brought our first snow of the winter.Only a light dusting really, enough to excite my inner child, but not enough to cause any problems. With a visit down to Devon planned for the following weekend, there was work to be done on our allotment in preparation, plants to divide and pot up, so snow or no snow, we had to get out there. 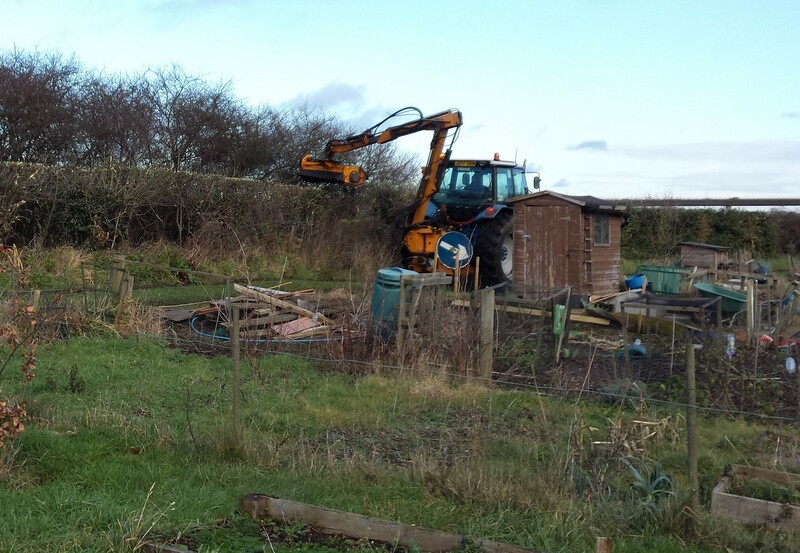 We arrived to find that were the only allotmenteers on our 150 plot site, probably unsurprisingly given the icy conditions, but we could not enjoy the tranquility of our solitude – unfortunately the peace was destroyed by the drone of a tractor, slaughtering the hedges alongside the allotment. 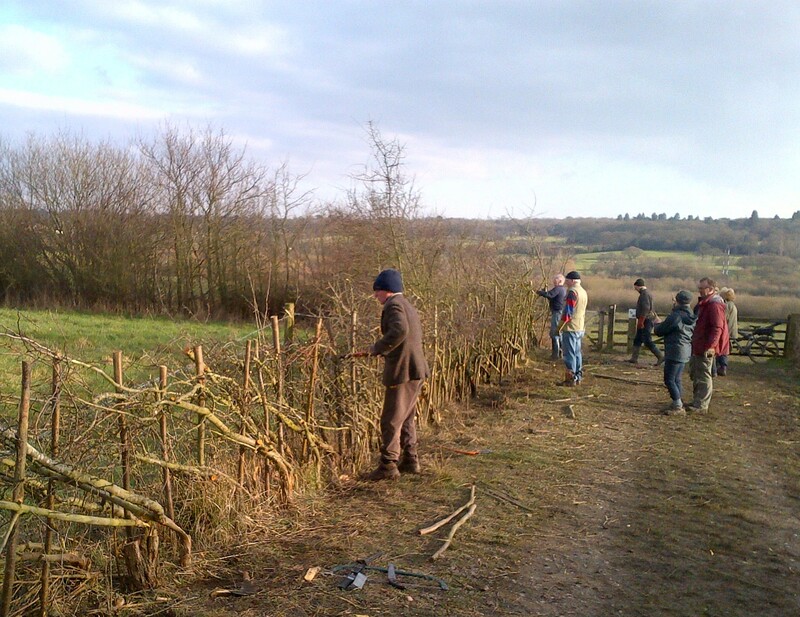 We are planning on doing some hedgelaying in Devon next week – traditional hedgelaying, using a billhook, with the sounds of the birds for company. Quiet, skillful and thought-provoking work. Such a contrast to this violent, noisy modern version. For a couple of hours, the drone went on as the tractor tore its way up and down the hedgerow. Finally it was done, and we were left to contemplate the devastation that this modern marvel of efficiency had left in its wake. Its brutal power has no regard for wildlife or the countryside: the muddy ground had been ploughed into deep furrows by its wheels, and the hedge was left both ragged and angular. This is a strange combination of devastation and tidyness: from a distance, an unnaturally neat, square pattern, but zoom in and the details show bark and branches hanging limply in defeat. This seemed to us to be a metaphor for modern life. While our society has the overall appearance of control and civilisation, if we look a little closer, we see the underlying damage we are causing to ourselves. We are broken. We spend our lives living in boxes – houses and flats, cars, offices are prison cells of our own choosing. We have lost our connection to the natural world, and it is time to re-establish the link.